Learn the basics to invest. Invest with 401ks, IRAs and Roths. Guest posts detailing different investing strategies. My recommendations for apps, services, investments and more. FIRE stands for Financial Independence (FI) Retire Early (RE). Find out when you could FIRE. Profiles and blogs of personal finance experts. Do You Need Luck to Reach Financial Independence and Retire Early? The idea of “luck” when it comes to financials is a complicated topic. I do believe it has a role, but it’s important to differentiate luck from action. Written by Adam on January 14, 2019. Updated April 24, 2019. 20 min read. Personal, Financial Independence. 11 comments. Minafi's finances are an open book. Find out how I make money. About a month ago I left my job. I saved up a noteworthy sum – enough to likely cover our expenses going forward according to the 4% rule. With Mrs. Minafi is continuing to work at the moment that’s icing – as would be anything that grows from Minafi in the future. The day itself went fast. I had check ins with the teams I work with, grabbed a last lunch with a few coworkers (a place nearby that does fried chicken sandwiches on Hawaiian roles, mmmmmm), wrote a bunch of goodbye messages, wiped some personal things off my laptop (namely 1Password and my SSH keys) and celebrated some goodbyes with a surprise my manager and teammate setup with delicious cookies and balloons. It was a wonderful sendoff that brought me to tears. The entire group of ~20 of my coworkers went around giving a thought, story, or some message for me. It took everything I could not to break down there and sob. People that I only worked with a little were appreciative of how inclusive I was in getting their thoughts and feedback. The theme from people I worked with semi-regularly would be: intimidatingly focused. One co-worker said, “After our first chat I knew I’d have to up my game.”. When I mentioned this phrase to my wife she laughed and enthusiastically agreed. Those who I’d worked with for years told stories of things we’d built together, moonshots we’d completed or overwhelming odds that were overcome to complete something. It’s no surprise that this is the same group that after learning about my blog asked me to give a presentation to the team about finances. Growth mindsets all around for sure. I said a few words thanking people and saying I was lucky to have a chance to work with such great people. Luck, noun. Success or failure apparently brought by chance rather than through one’s own actions. So luck implies things completely outside of your control. That’s not too hard to pin down. If you win the lottery, that’s luck. But you had to play the lottery – so that’s an action, right? Where is the line between action and luck? To me, the difference comes down to repeatability. If you can repeat something when needed it’s not luck – it’s skill. It’s completely possible to win a poker tournament on luck alone, but it’s unlikely that you’d make it to the final table year after year on luck alone. Even games of chance may have a skill component. Luck does play a role in FIRE, but perhaps not the role you may immediately think. These things are 100% luck. You can’t choose your parents. I received a windfall when my mom passed away when I was 24. I guess you could call that luck in the finance department and heartbreaking in every other way. If these sound more like privilege than luck you’re right – I’m using the terms interchangeably. Warren Buffett calls this the ovarian lottery. These are completely outside of your control. If you were to be born again tomorrow, with the chance of being born anywhere in the world, what is the chance that you would have the same opportunities provided to you in your life? Extremely low. When I think about luck, this is what comes to mind first for me. I posed a question on Twitter on what the role of luck is in FIRE and got a bunch of responses that focused heavily around privilege – the side of FIRE that you have no control over. What do you feel is the role of luck (if any) when it comes to FIRE? What’s considered luck and what isn’t? Working on a post on the topic based on a bunch of recent conversations, and would love to include some other thoughts on the subject. What are yours? Here are a few of my favorite responses. Being a US citizen, being able-bodied, growing up in the internet age where you can learn anything and start a company that’s all online, I already got lucky enough. Becoming a billionaire will be luck. Becoming a millionaire isn’t. From Olivia from Birds of a Fire. Luck is having the right natural skills, timing, and placement to apply hard work. You aren’t going to succeed without hard work, but you need to be in the right position to use that hard work and that’s basically luck. This idea – that luck has a timing component to it – was repeated often in responses. Even with the perfect skillset, having it at the wrong time isn’t going to matter. Being in the right place at the right timematters. The zip code you’re born in is 100% luck. No one chooses it. If you were to follow lifetime income in mass, the zip code you’re born in would be one of the most telling numbers on average. I like Scott Trench’s definition: Luck is the intersection of preparation and opportunity. I have had a lot of luck/privilege according to the above definitions. I was born to a middle class family in the US as a white, cisgender male in a zip code that allowed me to attend some good (and even great) school. Possibly most noteworthy though is that I was born into a situation that gave me opportunities to grow up with computers, gaving me an edge on others my age. I was able to spend thousands of hours on computers before many of my peers had ever set their fingers on a keyboard. 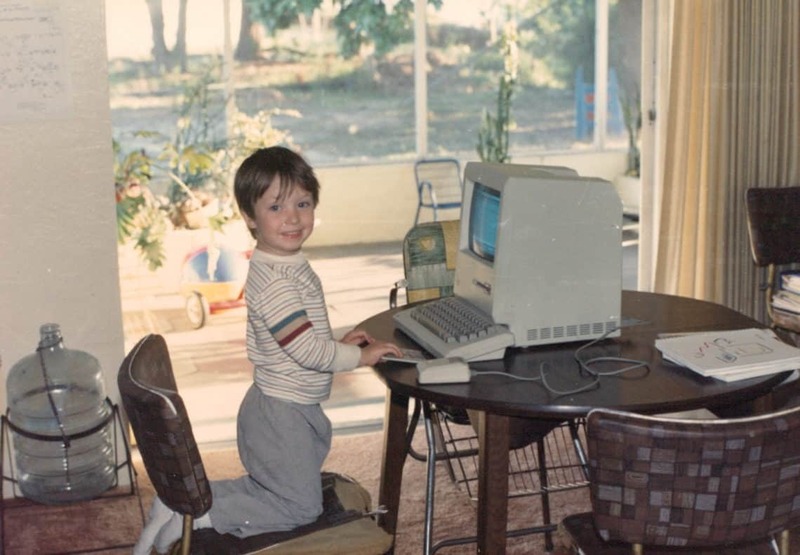 Me using a Apple Macintosh at age 3. So what’s luck in this situation and what’s action? To me, one of my biggest strokes of luck was growing up in a house that had a computer. Action is me taking the time to learn everything I could about it. At early ages, there’s a fine line between these. The only reason I spent time on a computer is that it was fun! My amazing parents found ways to make it fun and I spent time familiarizing myself with them. I was never “scared” of computers because they were always there. My parents divorced when I was in 3rd grade. After that they had shared custody where I spent some days of the week at one house and some at the others. I’d typically switch houses 3-4 times a week. During this time my Mom had a 386 running DOS, while my Dad loved Macs (early 90s). By the time I was in 6th grade, I’d been using both systems for years. 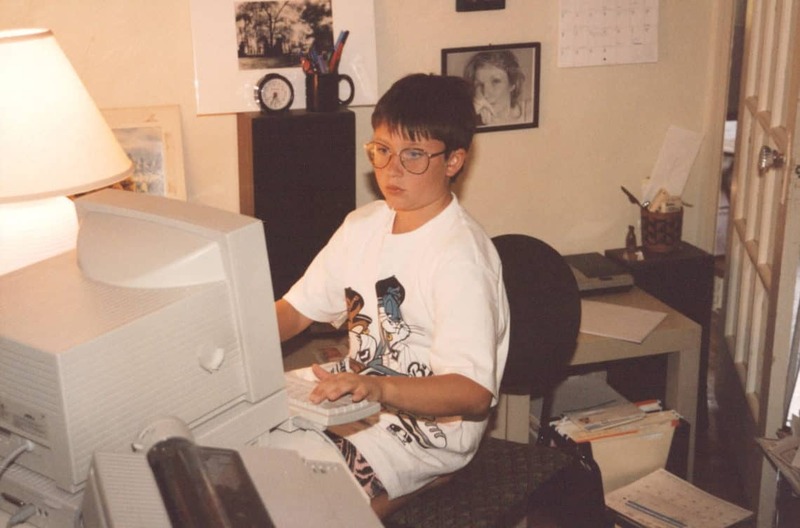 Elementary School Adam looking much more confident on a computer. There’s a reason I’m mentioning this experience. Putting in that time from such an early age meant that by the time I was in middle school or high school I was so far ahead of others that didn’t grow up with a computer that it would take into their 20s to gain the same experience I had. 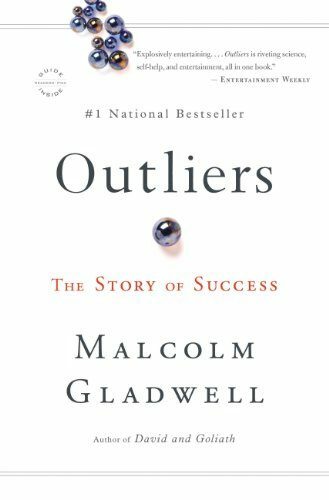 This past week I read the book Outliers by Malcolm Gladwell. Outliers is famous for introducing the idea that it takes 10,000 hours of deliberate practice to become world-class (a master) at anything. It’s an often quoted quote that instantly makes sense to most people. The Beatles were lucky to fall into a gig in Germany where they were required to play for 8 hours a day, 6 days a week. The promoter that recruited them for the gig happened to live in Liverpool where they connected. They worked hard to get that opportunity so they earned it, but the chance to play that long was extremely rare. During this time they quickly got more real-world experience than their peers. This didn’t mean they were successful because of it, but it helped refine their music in a way that might have taken years otherwise. Bill Gates was lucky enough to grow up in a community that had access to the latest type of computer available. Later on, he found a way to get access to a local university computer for free and would sneak out from his house at night to use it. In an interview later in life, Gates mentioned that there likely weren’t more than 50 other people his age in the world who had as much access and experience with computers at an early age. Both the Beatles and Bill Gates were lucky to have that opportunity, but they worked their asses off and took full advantage of the situation. They were able to build on their experiences and eventually be in the right place at the right time. When they were grinding away they didn’t know how it would payoff in the end, but they persisted. There’s a term for this — accumulative advantage. Each little advantage builds on the last one. That’s a common thread of success – working hard without immediate payoff only to have it payoff in the end. I’m no expert, but having conversations with your kids and letting them know all of these parts of the “traditional path through life” have alternatives seems rare. Again though, there’s an element of luck based on your family upbringing on if you’ll even be exposed to different ideas. All of these are actions, not luck. I doubt anyone who decides to buy a house, or have kids says “yeah, we were just walking along and *bam* we had a house”. It’s the same way the idea of FIRE isn’t one that most people are aware of. Even if you’re not aware of FIRE, it’s an action to pursue or not pursue it. Is it luck that some people were introduced to FIRE at an early age vs much later in life? I’d say it’s no more luck than the idea that not everyone needs to have kids, or buy a house. It’s a realization about life that some people are fortunate to have early in life can can make it happen, while others learn much later in life. What Else Isn’t Based on Luck? Is the job you get based on luck? Unless you won it in a lottery I’ll assume not. You likely got it because you’re the best qualified person for the job. Starting in high school, I began working very hard to be as good as I could possibly be at web development. I built websites for fun, created open source libraries, blogged about programming, went to conferences, joined local meet-ups and networked with hundreds of people. All of this was action that I take credit for. It was enabled because I had access to a computer much earlier in life, but I took advantage of that to the fullest I could. As my career evolved, I went from one job to another like most people in their 20s. What I later realized was that my career track was somewhat unusual. Every job transition of mine was because I had made connections at the new place and they wanted me to join. I never applied for jobs cold. For my job before Code School/Pluralsight, I ended up giving notice (age 28) on a Friday morning with no plan in place for where I’d go next. I’d already banked an inheritance and had plenty of buffer to take years to find what was next if I needed. 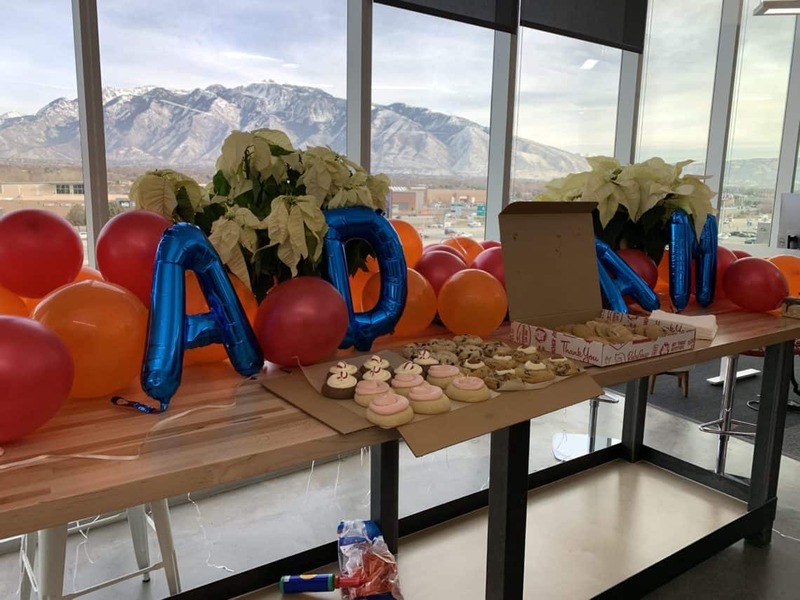 By noon on that same Friday, the founder of a local startup (Code School) had heard the news through the grapevine and offered me a job there. I’d worked with 3 developers from Code School at previous jobs. I’d been to meet-ups they ran – and even spoken at some. They were reaching out not because of luck, but because they knew what I could do from previous experience – and I had tremendous respect for everything they were doing. After coming in to see what I’d be working on, I accepted and joined a month later. On my first day at Code School the founder asked, “Did we talk about pay at all?”. “Nope,” I replied. We had not touched on salary at all, but I knew I wanted to be a part of what was being created – salary be damned. All of this to say one thing: Your job, and therefore your salary, isn’t based on luck. If you have a high salary, that’s great! Luck Camp: Working for a company where you have a windfall is luck. Skill Camp: Working for a company where you have a windfall is skill. Both Camp: Working for a company and putting yourself in a place to have a windfall is skill. The size and cascading results from it have an element of luck. When initially writing the post, I put myself in the “both” category. After more thought about it though – is there any luck at all? If you build a business that grows and makes money, is that luck, or based on your actions? It took luck to be born as I am and to be exposed to computers from an early age. It took action to develop web development skills that had a high market value. It took action to find a startup that I thought would be a success. I talked with dozens of other startups, but didn’t join those or believe in their visions. It took action (from an entire team) to help grow the company to where it was worth a significant amount. It took action to do due diligence on prospective buyers and find one that had was a good fit. Also to find one that had other great leaders! What all this action means is that there was repeatability. If you find a great company but they don’t execute,or don’t build a terrific team, then that’s only part of the journey and won’t get you anywhere. There is a term for people who repeat this process in the startup world: serial entrepreneur. A serial entrepreneur is someone who can repeatedly create something new, rather than being permanently tied to one thing. It doesn’t, however, mean that each of those things is a success. Those who are able to repeatedly create something new AND have it be a success are out there. We hear about the famous ones – Elon Musk, Richard Branson, Oprah Winfrey. There are so many successful serial entrepreneurs even in the FI space! Jim Wang of Wallet Hacks sold his previous site to reach FI before creating and growing Wallet Hacks into the massive site it is today. Tanya from Our Next Life somehow spent her first year “retired” writing a book, starting a podcast, and creating a money retreat for women (seriously how?!). J. Money epitomizes the serial entrepreneur with so many projects running he’s had to cut back for his own sanity (yet still has 27 domains apparently). Being a “serial entrepreneur” doesn’t mean that you’re constantly creating and selling companies – it just means that you’re constantly creating! For those that love the creation process with the grit to make it a reality it’s no surprise that this group is doing well financially. I’ve been wrong to use the word “luck” as often as I have. It disregards the immense effort, grit, strategy and work put into getting to where I am. At Code School, we occasionally had leadership training or other activities that helped us grow as humans. One activity was simple: taking credit. In this activity, we’d write down something we did and read it to the team. This may sound easy, but I have a tendency to deflect and say “it was a team effort” or “I couldn’t have done it without…”. When you’re leading a team or making those decisions, it’s important to also realize that sometimes you’re responsible for the success. Also important to realize when something you’ve worked hard on accomplishes exactly what you set out to do. In your journey to financial independence, remember to give yourself credit for your hard work. If you save money, that’s not luck. If you apply for a job and get it that’s action. It’s easy to caveat things – “I got the job because someone else didn’t apply”, “I earned this windfall because I was lucky to find a buyer”. Try to reframe this as action rather than luck. The same way if you have a great set of skills you’ll be able to find a buyer for them on the market (ie: get a high paying job), if you build a successful business you’ll be able to find a buyer for it on the market. So Do You Need Luck to Reach FIRE? In my opinion yes, absolutely. You need luck to be in a position to even pursue FIRE. After that, the amount of work to achieve FIRE is variable. No two lives are the same, and the amount of work get to a fixed destination is going to be wildly different as well. Your journey is different than every other persons journey. But we shouldn’t assume that anyone who reaches FIRE does so completely on luck alone. It takes hard work, and consistent effort in every single case I’ve seen. Those that do earn a high paycheck, or get a major windfall are fortunate, but there are few times when it happened without action on their part (ie, getting a windfall or high salary without helping the company). My challenge to you: use the word luck sparingly, and only when you had no control over the outcome. If you had any control, but still achieved a positive outcome, ask yourself: could I repeat this? If the answer is yes, or even maybe, then give yourself more credit. After my Reddit post, I received a number of messages from people who know me best laughing at how much credit I gave to luck in my situation. Gregg Pollack, Code Schools founder I mentioned a number of times above, even chimed in on the subject in another comment confirming much of the above. I’m going to challenge myself to be better at this as well. If you also struggle to take credit for your own accomplishments, I hope you will try to do the same. Nice man. I missed your post on r/fire. Looking forward to see this website grow now that you got more time to develop it! Cheers. Thanks! I’m curious to see where things go the next year. If it’s anything like the past year it’ll be completely different than anything I can picture now. This is a fantastic post. I always appreciate when successful people acknowledge the role of privilege/luck. OF COURSE it takes skill and hard work to be successful, but that only gets you part of the way. Acknowledging other factors doesn’t take anything away from the effort. I don’t really buy into luck too much. I think those who are “lucky” are just the people who see an opportunity and jump on it. Many folks let opportunities pass them by and make the wrong decisions to focus their time and energy. Those who realize the opportunities are the ones who become successful and appear to be “lucky.” Just my opinion. Congrats on the early retirement, Adam!! You earned it! > Many folks let opportunities pass them by and make the wrong decisions to focus their time and energy. I think we can all relate to this. I know of no one who’s made nothing but correct decisions. Sometimes a few good decisions and avoid the catastrophic ones is all it takes. Congratulations on your retirement. You’re living the dream! People don’t tend to use the word “lucky” with me, probably because I’m a single parent with 4 kids. They tend to shudder and say, “I take my hat off to you!” instead!! I DID get lucky by being born in Australia though. No doubt about it. Great post, Adam! As someone who struggles to take credit for their wins, this was a reminder to give myself a little credit for the action that I have taken. While reading this post, I felt it was eerily similar to a post I read a couple days ago by James Clear titled Absolute Success is Luck. Relative Success is Hard Work. By the way, I am taking your Minimal Investor course and I am learning a lot so far. Ohh nice, thanks for the link. I’m a big fan of James Clear, so I’ll have to check out that article. Thanks for the kind words on the course! If you run into any questions or comments on anything in it, feel free to shoot me an email. You’re welcome, Adam! I’ve been a huge fan of his work since reading Atomic Habits. I’ll definitely let you know if I have any questions or comments. Taking your course and reading JL Collin’s stock series to deepen my understanding of how the stock market works. Although luck does play a role in general in life, in investing, I think it slants more on knowledge about the instrument you are focusing on rather the luck. You don’t invest loads on a volatile instrument like bitcoins and expect your luck to play along. And agree with you completely when you say to use your luck sparingly. To each his own I guess. Great writeup! Minafi - Financial independence through investing, minimalism & mindfulness. Don't miss out on new posts, courses, interactive articles and more!